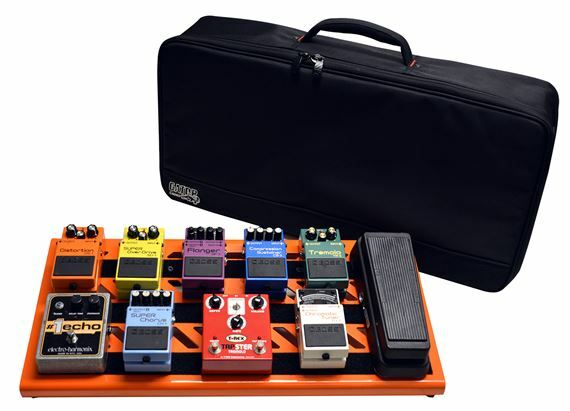 Shop Gator GPBBAKOJ Orange Aluminum Large Pedal Board with Bag from AMS with 0% Interest Payment Plans and Free Shipping. 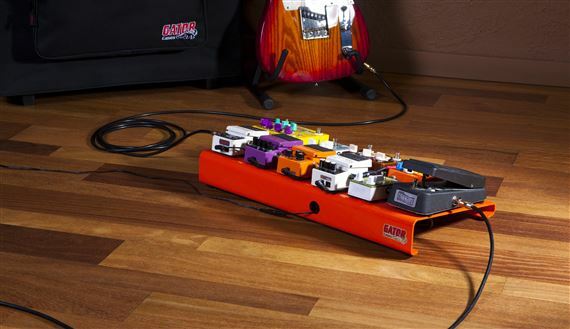 Rock your next show with the Gator GPB-BAK-OJ Orange Aluminum Large Pedal Board! 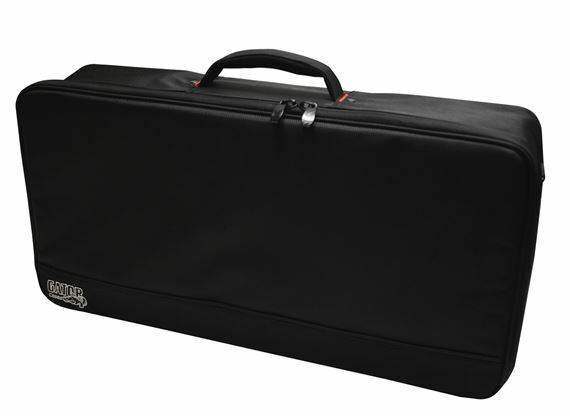 The pedal board comes with a Gator Carry Bag and bottom mounting power supply bracket. Power supply not included. Definitely a great value. Does the job for sure! Great product, comes with everything you need to get up and running. 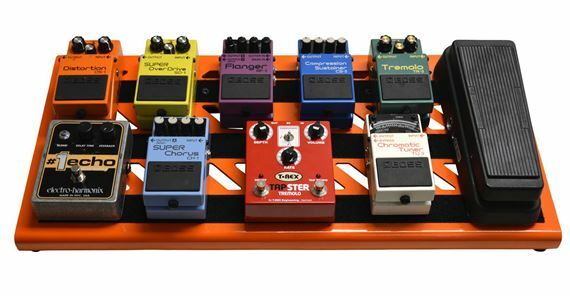 Only complaint is that the slope is just not enough to easily access top row of pedals. Going to make some sort of blocks to raise them. Nicely done, tons of room. It's good and sturdy plenty of height for the power supply to mount on the bottom well worth the money. 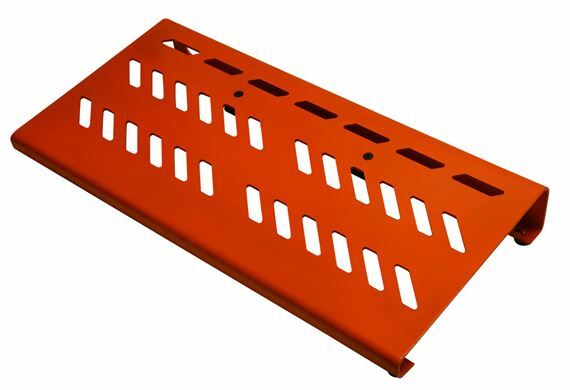 This is a fine, heavy duty metal board. 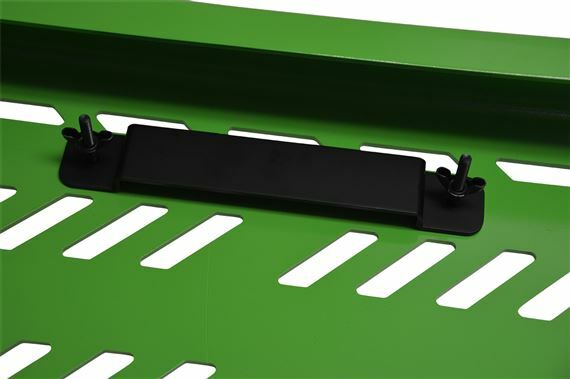 The cut-outs reduce weight and allow for cable routing under the face of the board--very handy! But the cutouts are made on a bias, which makes attaching pedals with zip ties--my preference--awkward. If you prefer to use velcro, then Bob's your uncle. The padded bag is quite sturdy and high quality. Unless you're really hard on your pedals, it should give you good protection. I deducted a star for the slanted cutouts, but if you attach pedals with velcro, consider it a 5. Very nice quality board! built like a tank. holds all my favorite pedals with easy access to each one, along with my voodoo lab power supply. kick a$$ board !!!! !